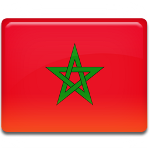 August 21 is a public holiday in Morocco. It is the birthday of King Mohammed VI, the reigning monarch of the Kingdom of Morocco. The holiday is also referred to as Youth Day. Youth Day in Morocco was officially established in 1948 to commemorate the birthday of Crown Prince Moulay Hassan, who would later become King Hassan II. That is why the holiday was originally celebrated on July 9, the day Moulay Hassan was born. Youth Day aimed at mobilizing the people of Morocco to resist the French colonial oppression. When Morocco achieved independence in 1956, the focus of the holiday changed. Youth Day was proclaimed an official national day to recognize the contribution of the youth to the development of Moroccan society. When Hassan's son Mohammed ascended the throne after his father's death in 1999, the date of Youth Day was moved to August 21 to commemorate the birthday of the new king. The essence of the holiday, however, remained unchanged. Youth Day in Morocco is celebrated with public speeches, youth forums, presentations of social projects and other events aimed at encouraging youth to participate in decision-making processes. The holiday also focuses on raising awareness of some important issues such as youth unemployment.